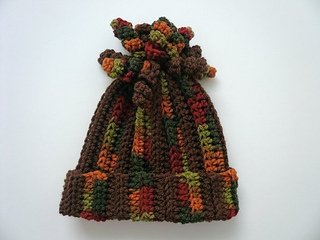 This is a Free pattern on my blog, or you can grab the color-coded, ad-free PDF for just $1.00 on Craftsy! 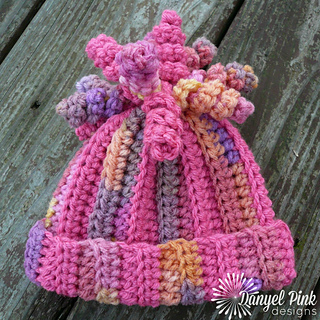 The pattern includes instructions for creating this hat in the following sizes: Newborn (0-3 months), 3-6 months, 6-12 months, Toddler, Child & Adult. 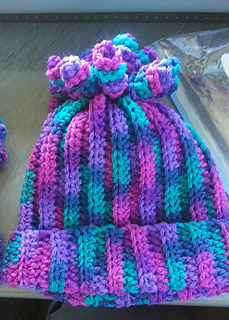 Fun and Funky hats are very popular! This pattern is easy & works up very fast. 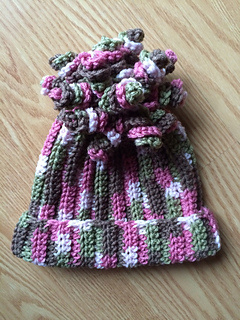 It’s a great project for a beginning crocheter, or for anyone looking to make something different! 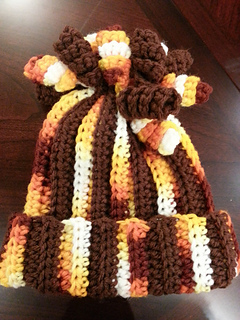 Whip one up for the holidays, or make one in your favorite sports team’s colors… the possibilities are endless! ☞ © 2009 Danyel Pink. You may sell what you make, but please credit Danyel Pink Designs for the pattern. You may NOT resell the pattern, distribute it in any form, post it elsewhere online, or alter it to claim it as your own. Please provide a link back to my blog or Ravelry listing instead. Contact me with any questions or for pattern support.